Extortion (sometimes called “blackmail”) is one of several white collar crimes that can result in serious punishments under California or federal law. If you have been formally accused of extortion, or if you think that you might be under investigation for this crime, you should contact a San Bernardino or Riverside extortion defense lawyer who is experienced in advocating for the legal rights of the criminally accused. 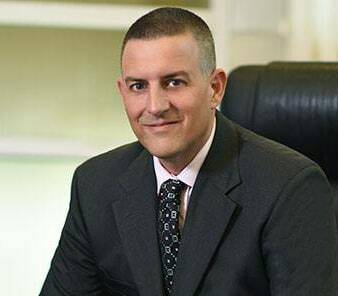 Experienced criminal defense attorney Gregory H. Comings can help you defend yourself against a charge of extortion, whether you have already been arrested or indicted or are awaiting the outcome of a criminal investigation. He can also help people fight other white collar charges, such as identity theft, based on his knowledge of this complex area of criminal law. In criminal cases, the government has the burden of proof. This means that the prosecutor must obtain and submit evidence that is sufficient to convince the jury that the defendant is guilty beyond a reasonable doubt in order for there to be a conviction. The evidence upon which the government relies must be legally admissible and not obtained in violation of the defendant’s civil rights under the state or federal Constitution. This means that physical evidence must have been obtained in a manner consistent with the Fourth Amendment, which prohibits unlawful searches and seizures, and in a way that did not violate the defendant’s right to due process of law under the Fifth and Fourteenth Amendments. When there is competent evidence to support a criminal charge, even so-called “white collar” crimes like fraud, embezzlement, and extortion can result in harsh punishments. Therefore, it is important that someone accused of such a crime speak to an extortion defense attorney in Riverside or San Bernardino about legal representation as soon as possible. When there is a delay in obtaining counsel, it is sometimes difficult for the attorney to represent the defendant as effectively as if he or she had been retained early in the legal process. There are several types of extortion punishable under California law, including extortion by threat or force in violation of California Penal Code § 518, extortion by threatening letter in violation of California Penal Code § 523, and extortion by signature in violation of California Penal Code § 522. Although the elements for these crimes vary slightly, the basic requirements for a conviction are that the State prove that the defendant obtained property or other consideration (such an official act by a government officer or sexual gratification) by using fear, threat, or coercion. The “threat” involved in an extortion case may involve several different types of injury to the alleged victim, including exposing a secret or accusing the victim of criminal activity. Since these elements are complex, and the facts of the situation are often nuanced, a careful investigation may uncover ways to attack one or more elements of the case. A person convicted of extortion may spend up to four years in the penitentiary and be fined up to $10,000. Even attempted extortion can result in a misdemeanor conviction. These are serious consequences that can affect the defendant’s life, liberty, reputation, and financial prospects for many years. Hiring an attorney who is experienced in white collar crime cases and other felonies can be extremely important in defending yourself against an accusation of extortion. To speak to an aggressive criminal defense attorney about your case, call the Law Offices of Gregory H. Comings at (951) 686-3457 or contact us online. Remember that you have the right to remain silent when being questioned by police and that you have the right to hire a San Bernardino or Riverside extortion defense attorney of your choosing when you are facing prosecution for a criminal offense, even a non-violent offense like extortion, forgery, or other white collar crimes.